South Korea’s Government Employees Pension Service (GEPS), managing $6 billion of assets, will make an additional investment of about 430 billion won ($375 million) in alternative assets this year, as it is diversifying into a variety of new financial products, in particular, mid-risk mid-return, said its chief investment officer on July 1. The remarks by Young-gwon Choi, GEPS’ CIO, came just at a time when the pension fund put a notification to invite bids for a 100 billion won ($87 million) mandate for global equities fund of funds (FoF) and another 100 billion won for global bond FoF. It will pick one fund house for each of the mandates on August 8. Separately, late in June, GEPS had chosen Blackstone and Pomona Capital for global secondary private equity strategy of a combined $100 million, which was the fund’s second commitment to global secondary PEFs since 2014. 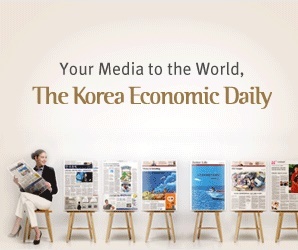 Choi told the Korea Economic TV, a cable news channel of the Korea Economic Daily, that the pension fund for South Korea’s civil servants is making its foray into global mezzanine fund, overseas real estate, and private debt and secondary private equity funds, with an aim to bringing the proportion of alternatives to one fifth of its total assets by the year’s end from the current 17%. “As the low interest rate environment persists, we will gradually reduce the proportion of domestic bonds, while increasing the proportion of mid-risk, mid-return alternative investments and overseas investments gradually,” Choi said in the interview. Like other South Korean pension and savings funds, GEPS has been looking abroad to make up for sliding returns on domestic assets and bonds. Last year it earned 3.94% return on investments, lower than the National Pension Service’s 4.57%, but above those of major global pension funds such as Canada Pension Plan Investment Board and ABP of the Netherlands, based on a statement released from South Korea’s welfare ministry on July 1. Choi, who has been leading the investment division of the GEPS since July 2014, expects that a likely U.S. rate hike this year may increase market volatility, so the fund is studying a variety of financial products including structured debt. As of end-May, 2016, bonds (domestic/overseas) represented 48% of the GEPS’ portfolio, followed by stocks (domestic/overseas) with 35%, and domestic alternatives with 17%.